(Tetum) It’s been a very rainy ‘dry season’, but many feet have stayed dry thanks to Hunter Boots’ donation of around 3,000 pairs of gumboots to farmers and extension staff. Seeds of Life (SoL) and the Ministry of Agriculture and Fisheries (MAF) distributed the Wellington boots in late 2012 to farmers in community seed producing groups, and MAF Extension Officers who work in the field with farmers. SoL Community Seed Advisor Buddhi Kunwar said feedback on the boots, which have been used for over six months, has been very positive. “The gumboots are very high quality and they’ve enabled farmers and MAF workers to increase their mobility in the rainy season”. During the wet season many roads, tracks and villages in Timor-Leste become muddy quagmires. 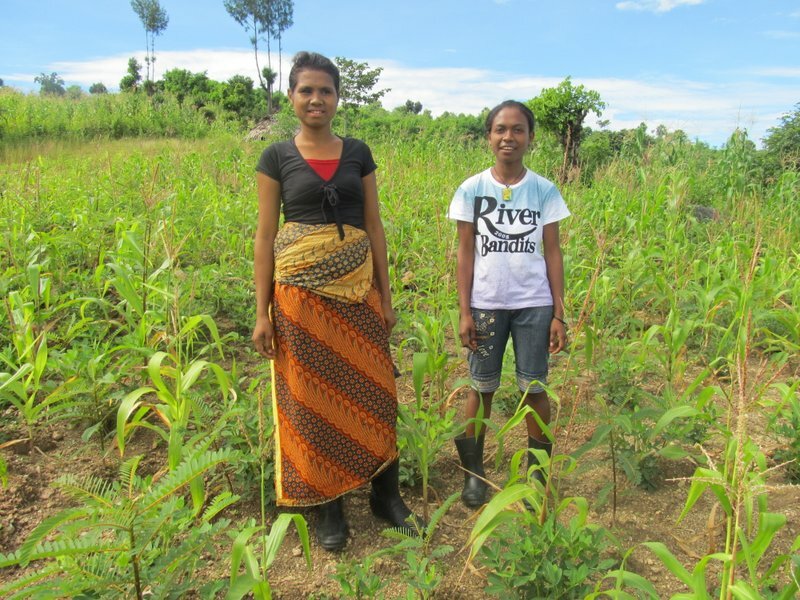 Without appropriate footwear it is difficult for Timorese farmers to tend their fields and they are more susceptible to foot and leg injuries, infection and disease. 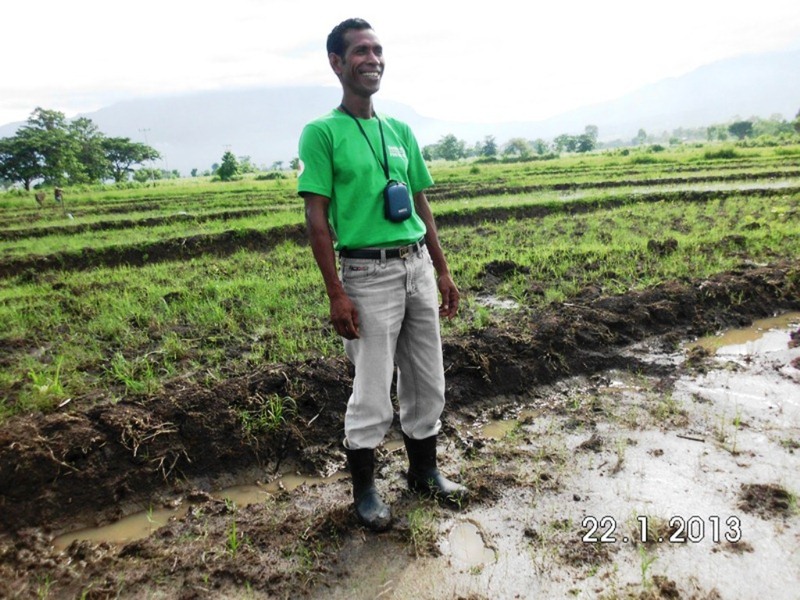 Therefore, having a pair of quality gumboots can make a great difference in the day-to-day life of a Timorese farmer.